Building a home is a huge investment. Whether you are spending $200,000 or $2,000,000, you want to know how your money is being spent. 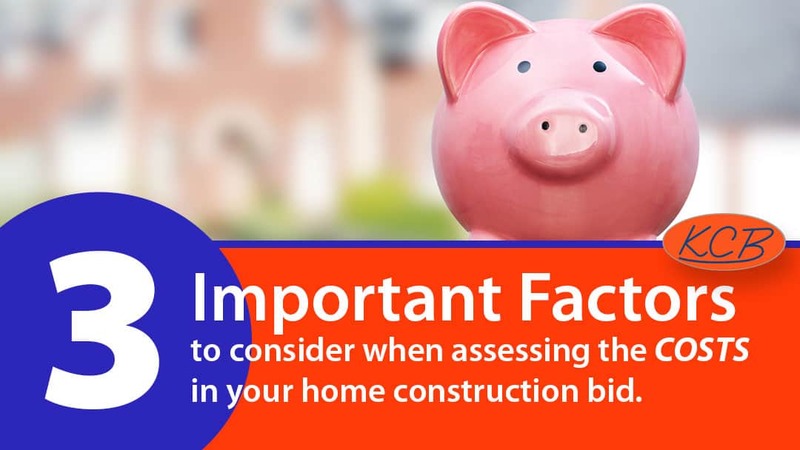 To ensure that you will get quality work and a fair price, consider these 3 factors when reviewing the bid for the construction of your new home. This was explained in the previous post, 5 key points to consider when comparing residential contractor bids, but it bears repeating. An allowance is a cost estimate for a particular line item. For example, plumbing fixtures. If the plumbing fixture allowance is $10,000 and you select plumbing fixtures totaling $15,000, you owe an extra $5,000. The reverse is also true. If you select plumbing fixtures totaling $8,000 you get a $2,000 credit. Allowances in your bid can be problematic because they are not based on specific materials, making it difficult to estimate costs or quality accurately. Numerous allowances result in a less accurate bid. You could end up paying more than you were anticipating because the allowance was under estimated, or you could wind up with sub-par materials or craftsmanship because those details were not specified. Occasionally, allowances are unavoidable because you and your contractor have not yet determined the specifics of a certain aspect of the project. For example, you may not know the exact countertop you want at the time of estimating so an allowance is necessary. But overall, the less allowances the better. When possible, convert allowances to firm bids. This will give you a more accurate cost estimate and ensure that you and your contractor agree on the labor and materials to be used. For example, instead of using a plumbing fixture allowance simply select your plumbing fixtures at the time your project is being estimated so the actual cost can be used in the estimate. 2. A fair price is more important than a low price. “You get what you pay for.” There’s a reason you’ve heard this expression a thousand times – it’s almost always true. Cheap products are usually poor quality and higher quality items cost more. The same holds true for labor costs. You will pay more for tradesmen with superior skills and time tested experience. Think about it, do you really want your contractor to hire the cheapest plumbers and electricians he can find? If you think some of the materials or labor listed in your contractor’s bid are priced too high, find out why by asking your contractor. It could be that they are of higher quality and your contractor may have a very good reason for choosing them. If you’re unsure why something is priced the way it is, talk to your contractor and give him an opportunity to explain his pricing. A good contractor will be able to justify his costs. Building a home is a huge investment and you deserve to know exactly what you are buying. The key to this is transparency. In this context, transparency means that the contractor has put all the information he has on the table and all costs and materials have been detailed in the bid. He has shared the costs for the materials, labor, subcontractor work, and even the markup margins. He has also detailed the specific products and materials to be used and who will be doing the work. The more detail you see in a bid the more transparent it is. You want to see that everything has been accounted for so that there’s no hidden costs and you know exactly what you will be getting and paying for. It’s your money and your home. It is only fair that you have the details of what the costs are. Many contractors don’t break down their prices in detail. For example, some contractors are hesitant to note their markup margins. But markups are a standard in all home construction projects. If you know exactly what the markups are it allows you to better compare bids, interpret the value, and possibly negotiate if necessary. If transparency is lacking, you won’t have a clear understanding of what you are paying for or the quality of materials and craftsmanship. It also makes it more difficult to compare bids if it is vague and nondescript. You have a right to know all the costs associated with building your home. 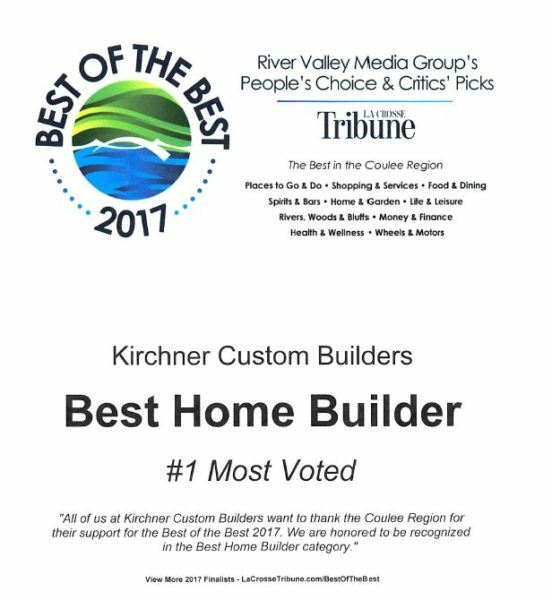 Marty and Tony, the owners of Kirchner Custom Builders, believe their customers deserve to know all the information associated with the costs of construction. They value transparency and make it a priority because they understands that the more their customers know, the more comfortable their customers feel with the value of the materials and services being used to construct the customer’s new home.